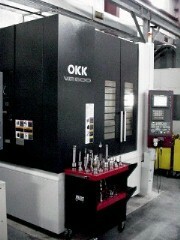 High Speed Vertical Machining Center OKK VP9000 with Fanuc 310is Control with High Speed High Precision Options. Travels 44" on X, 36" on Y, and 22" on Z. 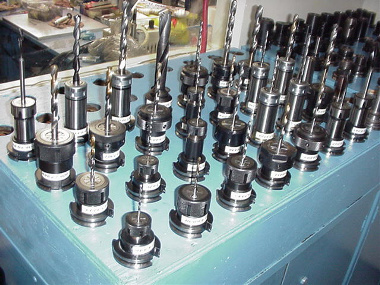 20,000 RPM 30/25 HP CAT40 Big Plus Spindle 40 Tool Magazine. 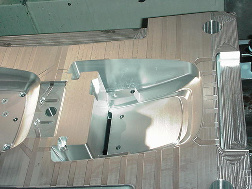 A large capacity, high speed, yet accurate machining center. 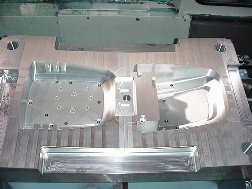 The larger capacity allows us to setup two mold plates at the same time in many cases therfore reducing machine idle time and lead time. 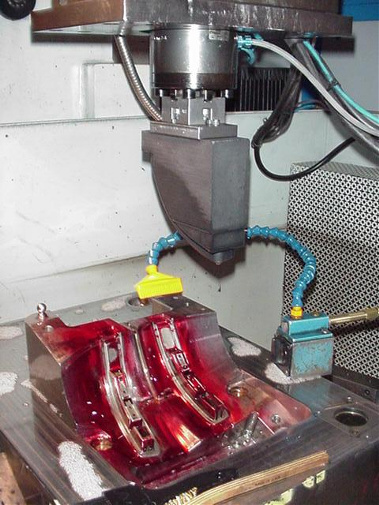 This machine is tooled up to be able to Rough, Prefinish and Finish unattended. 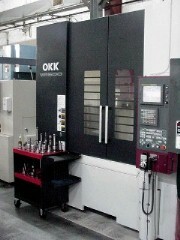 OKK VP600 High Speed Vertical Machining Center with Fanuc 180is Control with High Speed High Precision Options. Travels 44" on X, 24" on Y, and 18" on Z. 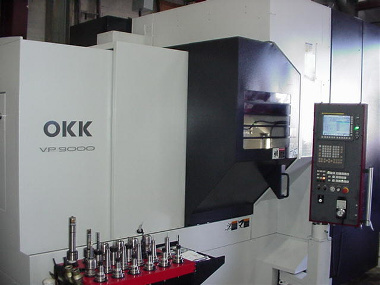 20,000 RPM 30/25 HP CAT40 Big Plus Spindle. 30 Tool Magazine. 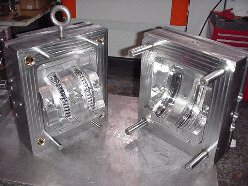 The pictures to the right are of a 12" diameter lens for the Rail Road industry machined from 52 Rockwell 420 stainless steel. 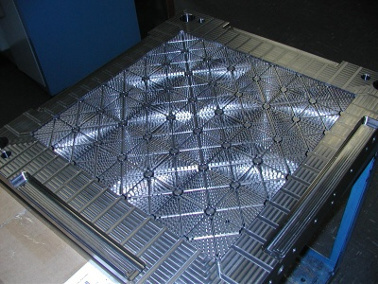 The following part is a core plate for a 18" x 18" plastic floor tile consisting of 35,575 surfaces. 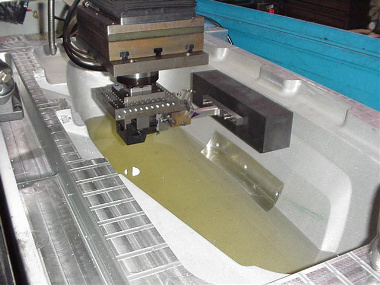 1 - Kitamura Bridge 8 - Double Column, Vertical Machining Center with Fanuc 15M Control with High Speed High Precision Machining Software. Travels 80" on X, 42" on Y, and 27.9" on Z. 38" Distance from the Spindle to Table. Table load 4 tons, 10,000 RPM CAT50 Spindle. 30 Tool Magazine. 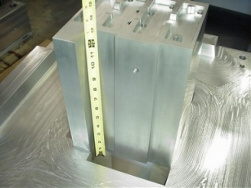 Heidenhain Scales X,Y & Z. 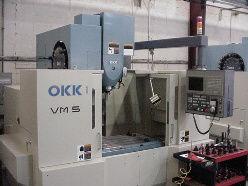 2 - OKK VM5 Vertical Machining Centers. 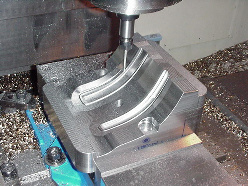 Travel 40" on X, 20" on Y, and 20" on Z; 8,000 RPM.CAT40 Spindle, 20 Tool Magazine. 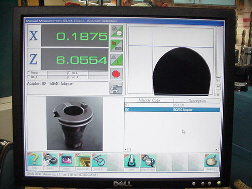 Mitsubishi 635 PC Based Control, High Speed, High Precision Machining Software. 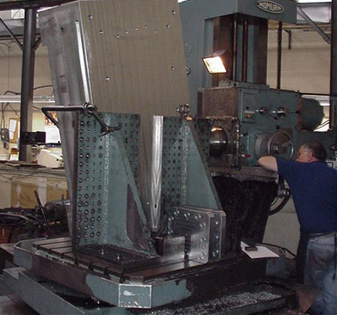 1- Nomura Boring Mill 60" X 80" X 48" X,Y and Z Travels with Rotating Table and Gun Drilling attachments. 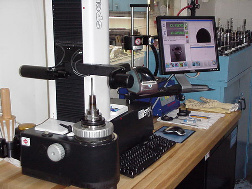 New Speroni STP- 34 Tool Presetter with EZ/Vision System, Axis travel: X or Diameter 12" Z Height 16"
4 - New Dell Precision Workstations running Cimatron, Solidworks, Mastercam, Esprit and Cadkey software. 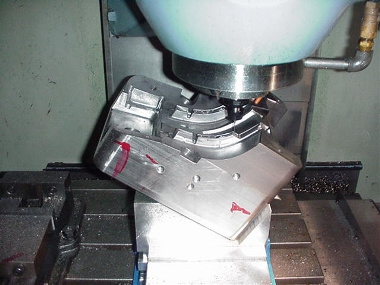 1 - Deckel LK Series Optical Coordinate Jig Grinding/Boring Center. 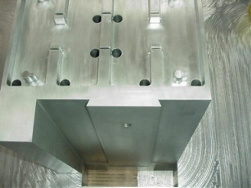 It is housed in its own temperature controlled room to minimize the effects of thermal expansion. 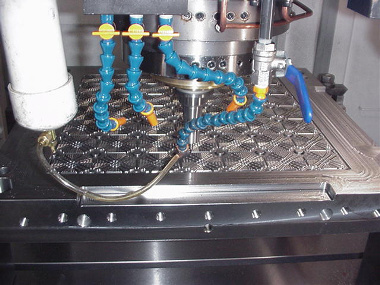 This Ultra-Precision Jig Grinder/Borer is capable of maintaining tolerance dimension levels of +/- 0.0001 of an inch. 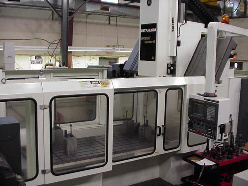 5 - Bridgeport Series I Vertical Milling Machines complete w/2 HP Vari-speed Type J heads. 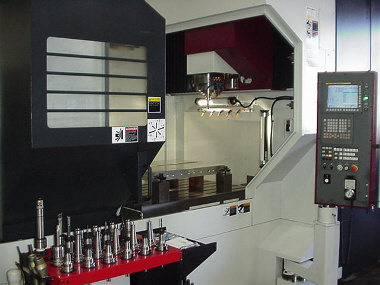 Five of the six are equipped w/2 Axis Trak Digital Position Readout Systems. 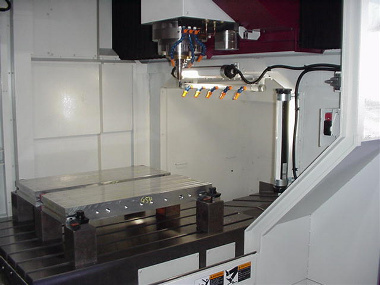 1 - Elb - 16" x 28" 3 Axis Digital Computer Controlled Surface Grinder Complete w/Wet Grinding Package. 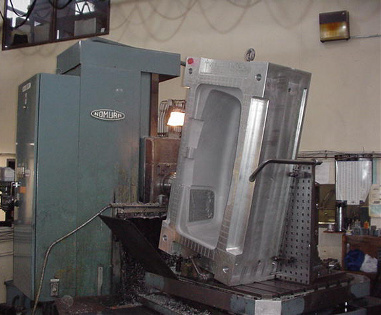 2 - ESG - 618 - B Equiptop surface Grinders 18x8. 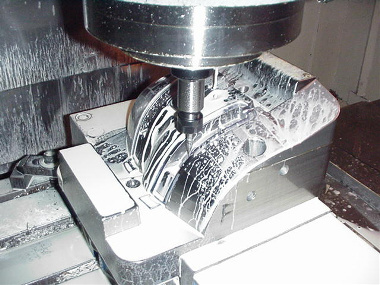 1 - 8 x 12 Kent w/Wet Grinding Package. 1 - Boyar Shultz 18 x 6. 1 - 6 x 12 Harig. 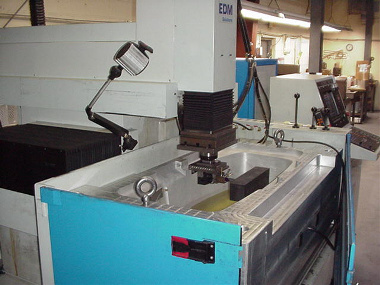 1 - 16 x 40 Victor Engine Lathe w/complete Auxiliary Tooling Package. 1 - Scripta Tool Grinder w/collet capacity up to 1/2". 1 - Rush - Drill Grinder - Model 258. 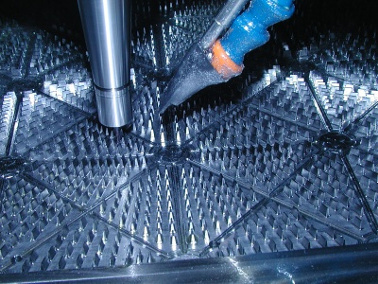 Fully Staffed & Equipped Polishing Dept. 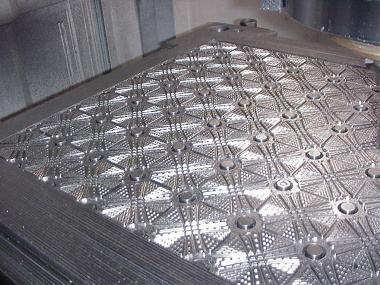 complete w/DME Ultra Lapping. 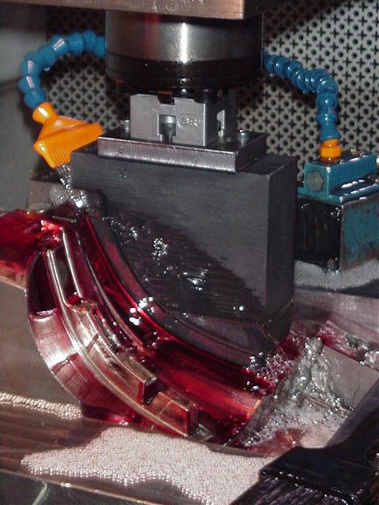 Equipment & capable of finishes to SPE #1 & of maintaining "Optical Flatness". 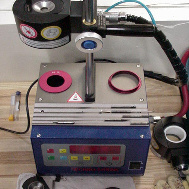 1 - Mitutoyo Profile Projector PH-350 Optical Comparator w/16" Screen. 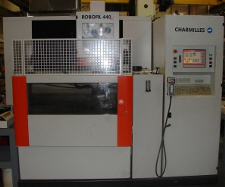 1 - Roll In Vertical Cut Off Saw complete w/Blade Welding Equipment. 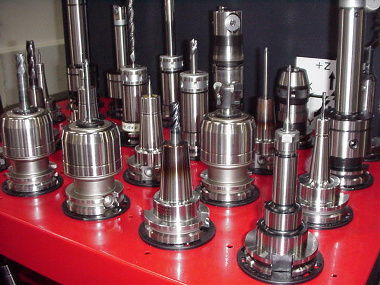 Complete Inventory of Auxiliary Small Tools which allow full utility of our tooling equipment - valued in excess of $150,000.